Karise Eden has an undeniable talent. Through her voice, she is able to tell stories that are honest and true. To have uncovered that talent through ‘The Voice’ and brought her to the front of peoples’ minds is something we should all be grateful for. Her third album (and first since 2014), ‘Born To Fight’, is a collection of powerful, confident and sassy songs. The first four tracks of the album are pure rock and they fit her voice well. ‘Temporary Lovers’ is a contrast to previous songs with a more positive and light spin on a traditional love song. It shows off the grittiness in a voice Australia has fallen in love with. Where she really hits her stride is through the more empowering ballads featured here. She has admitted in her press release that she’s used to singing “sad soul songs” and I think it’s because her voice suits those kinds of songs so well. But the more positive spin really works. ‘Gimme Your Love’ and ‘Maybe You Can Love Me Anyway’ are my favourite songs from this album. Karise sings about her desires, her dreams and these gorgeous tunes really bring them to life. I long for a few more of these here, to balance things out with the rockier stuff. 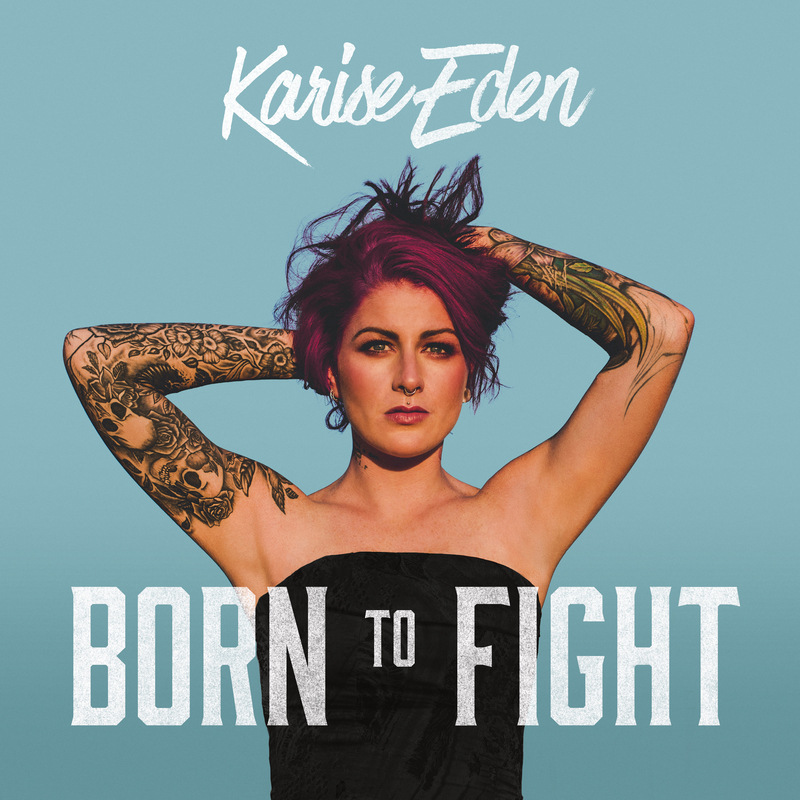 For me, this kind of album shows a different piece of the complex puzzle that is Karise Eden. She is more than just a voice… she’s real and authentic. All those years ago when (as a 19 year old) she won the inaugural season of ‘The Voice’, I’m not sure anyone thought we’d get a chance to see her grow and develop into one of this country’s best storytellers. She’s well on the path to creating a truly spectacular album, and this one is getting close to that. I can’t wait to see where Karise takes us next. MUST LISTEN : Gimme Your Love, Ain’t Thinkin Bout You, Maybe You Can Love Me Anyway.